"Lost At The Mall" marks Nicole Kidman's return to a focus on his trademark keyboard melodies and gritty drum machine beats, while incorporating the crunching guitar strum he's relied on live as of late. Everything is pushed to the max: his inimitable voice straining over instruments deep in the red, the distorted boombox never sounded so sweet. 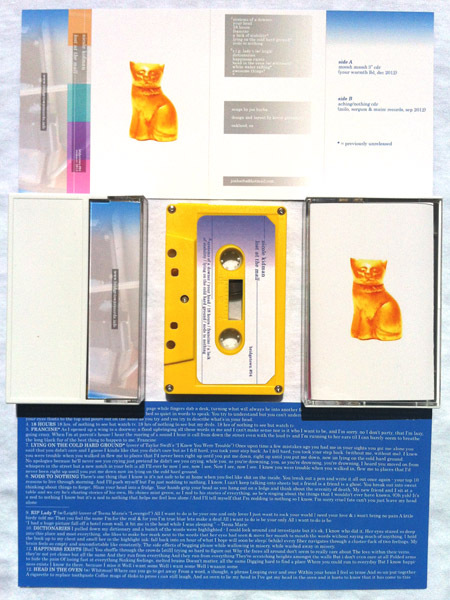 Interludes and movie samples soften the blow, but not for long before another shard of pure pop comes along and shatters as quickly as it arrived. Divided between isolation and optimism, the confessional narrative is as fragmented as ever. The pieces are shaped weird, but they line up right. Maybe being lost at the mall isn't what you thought it'd be like at all. 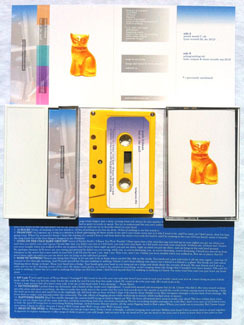 Edition of 50 cassettes dubbed in real-time with full-color labels and doublesided printing on heavyweight gloss stock.